The Visto™ range of kitchen storage solutions is the ultimate kitchen companion, designed for style and engineered for performance. Elegant, space efficient and stackable, Visto™ kitchen storage is an innovative storage system for the countertop, pantry, fridge and freezer. 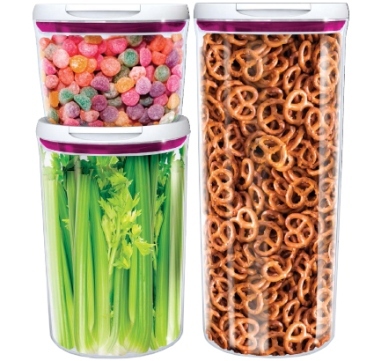 Versatile - From the countertop to the pantry, fridge, freezer, microwave or dishwasher! Copyright © 2019, TCI NZ Ltd. All Rights Reserved.